You should wind up your watch first and then adjust the hands. That is to say, if a watch is stopped and the hands are set first, then the gears in the watch could move back and forth freely. This can then cause the oil needed for perfect running to be stripped from the stops. Therefore, the hands in a mechanical watch should be set only after being would up. When winding up your watch with the crown, we recommend that you take the time to wind up your watch slowly and at an even pace. That is to say, when winding up, strong forces have an effect on the gears and gear teeth involved; in the worst case, this can lead to damage to the gear teeth if it is wound up too fast. Through slow and even winding, these components will not become unnecessarily worn out. When is the manual wind-up watch completely wound? In manual wind-up watches, the watch is completely wound if the crown can no longer be rotated clockwise (i.e., to the right) or if you detect resistance when winding. The tension spring in the manual wind-up watch is secured to the inner wall of the spring housing, with the other end on the spring frame. During winding, these springs are slowly wound completely around the spring frame. When this state is reached, then the watch is completely wound. If you now try to wind the watch more, the tension spring can rip (watchmakers call this “breaking”) and the energy suddenly released can seriously damage the toothing of the gearwork. How often does the manual wind-up watch need to be wound? If you wear your manual wind-up watch every day, we recommend that you wind it up once per day, in the morning, if possible. This is because the tension springs in mechanical watches cannot always transfer the same energy, and with it the same force, to the gearwork. This energy depends how much the spring is wound up. With a tension spring that is completely wound up, the available energy is the greatest; with a tension spring that is almost completely wound down, it is the weakest. If you wind your watch up every morning, you will have the most energy available on the tension spring during the movement phases of the day. The watch will therefore run more smoothly, and thus also more precisely. 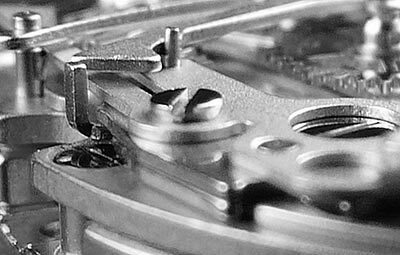 When winding up an automatic watch, we recommend that you count the rotations of the crown while winding. After 30 to 40 crown rotations, the tension spring has stored enough energy to be able to transfer an even force to the gearwork. – Please note that you must first loosen it in an anti-clockwise direction (i.e. to the left) for a watch with a screwed-in crown until it jumps out slightly. Only then can you begin rotating the crown. 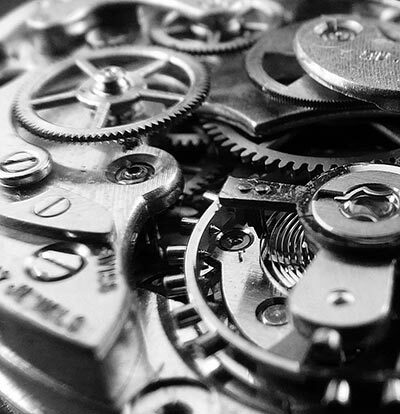 In automatic watches, the watch is continuously wound up when it is being worn by an automatic mechanism. To prevent the tension spring from becoming over-tensioned through this constant winding and from ripping because of this, it has a slipping mechanism that presses the outermost contact of the tension spring against the inner wall of the spring housing. This slips the completely wound tension spring slowly into the spring housing. 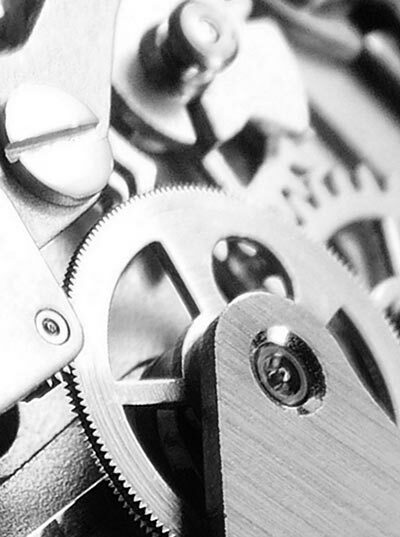 When wearing the watch, a constant torque is transferred to the gearwork. If your automatic watch is not worn for a longer period of time or if it is not moving enough, then the tension springs will become de-tensioned and your watch will stop. Now, you should wind your watch back up. However, you will not notice any resistance with a completely wound up tension spring due to the slipping mechanism. However, by counting the crown rotations when winding, you can ensure that the tension spring has been sufficiently and gently tensioned. Does an automatic watch taken off during the night need to be wound back up in the morning? If you wear your automatic watch every day but take it off at night, you do not need to additionally wind the watch up manually. This is because with a completely wound up automatic watch, the stored energy on the tension spring is enough for a power reserve of at least 38 hours. The power reserve depends on the clockwork used. However, note that a minimum amount of movement is needed during the day. If this is not possible, then you must wind up your automatic watch like a manual wind-up watch daily with 30 to 40 crown rotations by hand. Incidentally: It is best not to wear your watch in bed; the extremely fine dust particles and flakes of skin can impair your clockwork long-term, particularly the oils and greases. The wearing habits of the owner play a not insignificant role in the gear tolerances. For a person who is very active, a clockwork behaves differently than for a person who is more sedentary. A deviation from the tolerances indicated is thus not a matter of function, but rather is primarily one of resting position and wearing habits. If you do not use your watch over a longer period of time, then you must protect it from direct sunlight, because otherwise the face can age prematurely (depending on the model).